A holiday house in the Algarve costs on average USD 976 in the cheap travel period and USD 1,816 in the peak season per week. These details are of course in relation to the house and not per person as well as includes the obligatory additional charges. At Algarve holiday homes, you'll experience some of the best beaches Europe has to offer in a sunny and gorgeous corner of Portugal. There's plenty for sun worshippers here, from miles of coastline to national parks. What's more, with your own Algarve holiday apartment, you can look forward to having your own pool and outside space to appreciate the long, hot days and balmy evenings. From cosmopolitan Faro to the magnificent Rocha beach at Portimão, there's a range of choices for all visitors to the Algarve. 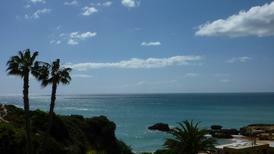 Get to know the Algarve region in Portugal intimately with own holiday letting. Opt for sea views and apartments just a short stroll from the beach, or city centre pads ideal for going out to party. There are superb food and history to discover for cultural travellers, too. The main draws for most visitors to the Algarve are the long summer months and miles of white sand beaches to choose from. 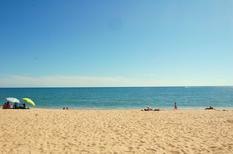 Rocha, by the Algarve's second-biggest city, Portimão, is probably the region's most famous beach. Its range of shops and restaurants make for the perfect balance of convenience and relaxed coastal feel. Faro is the Algarve’s biggest destination, great for those looking to appreciate the nightlife at the buzzing bars and clubs. Alternatively, stay at Tavira and explore the lagoon at the Parque Natural da Ria Formosa, where you'll spot storks and flamingos. 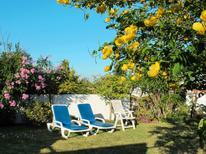 Why choose an Algarve holiday apartment or larger home? There's so much choice when it comes to holiday lettings in the Algarve – just choose what accommodation suits your ideal holiday. Rent a large suburban villa with a patio where you can enjoy al fresco dining and a glass of wine in total privacy, or stay at an apartment or villa with pool access to swim and cool off in peace. All accommodations are within easy reach of the coast’s gorgeous beaches. The Algarve is a particularly great destination for families – with plenty of international visitors, the hospitality and facilities are top notch. English and German are widely spoken, and the area offers plenty of ways to keep everyone entertained. Aquashow Park near Vilamoura, Praia de Faro beach and the hilltop Castle of Silves are some of the things to see on a trip here. Groups of friends looking to hit the town can get large apartments with plenty of space and easy access to all the best bars in town. To top off all of these perks, many Algarve holiday apartments allow you to take your dog along, too. Portugal is rightly proud of its excellent cuisine, which is heavily influenced by its large coastline. In the Algarve in particular, clams and other shellfish, feijoada (pork and bean stew) and superb Lagos wine are some things to look forward to. That said, the Algarve draws throngs of global visitors, so finding British- and German-style cafés and restaurants for familiar tastes of home is easy near the popular beaches. You can also buy your own food to cook at home, of course, to save some money and make the most of that superb balcony or patio space. 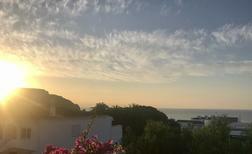 Simply put, the Algarve is one of the best places in Europe to rent a holiday home, as the choice is vast. Rent a holiday apartment directly at the beach, a massive villa featuring a pool and garden, or a small cottage in a Portuguese fishing village. 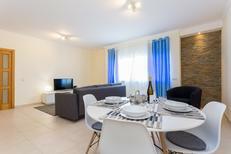 There's a range to choose from, from small and modern flats in the centre of Faro to larger farmhouse-style buildings as you go inland toward the countryside. Even if you do choose a flat in an apartment complex, many have access to a shared pool space. The Algarve is a great area for golfers as well, with many holiday homes set close to the best courses. Where you choose to set up base in the region will depend on your tastes. If you've been to the area before, you can try a new place to compare – you may find your regular family holiday destination for years to come! Faro, the most popular choice, mixes great nightlife and history with amazing beaches, and plenty of restaurants and cafés. 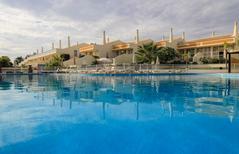 Portimão's quieter ambience may suit families or anyone seeking a peaceful holiday by a stunning coastline. Another top choice is Albufeira, which still has a charming fishing village feel to it. Go for walks at the beach and port, or stop for Portuguese coffee and a pastel de nata (Portuguese custard tart) in the Old Town. Faro Airport, which is also sometimes called Algarve Airport, is the main hub into the region, and one of Portugal’s major airports. It takes just under three hours to get to Faro from London. The airport is just 10 minutes from the centre of town by car or taxi. It's 40 minutes to Albufeira from the airport, or 45 minutes to Portimão. The region’s major destinations are very well connected to the airport, with frequent bus services and affordable taxis. From June to September, the Algarve sees its hottest weather, often reaching 30°C or more in August. The summer is the ideal time to enjoy the water, whether at your private pool or one of the area’s many gorgeous beaches. Visiting in spring or autumn, which bring temperatures in the 20s, is ideal if you’re planning on hiking or just avoiding the summer crowds. Even in the middle of January, the weather is really quite mild, often around 15°C or so, and perfect for escaping your rainy hometown for a break among gorgeous scenery.